Brightly colored Embroidered Kippah designed by Yair Emanuel. 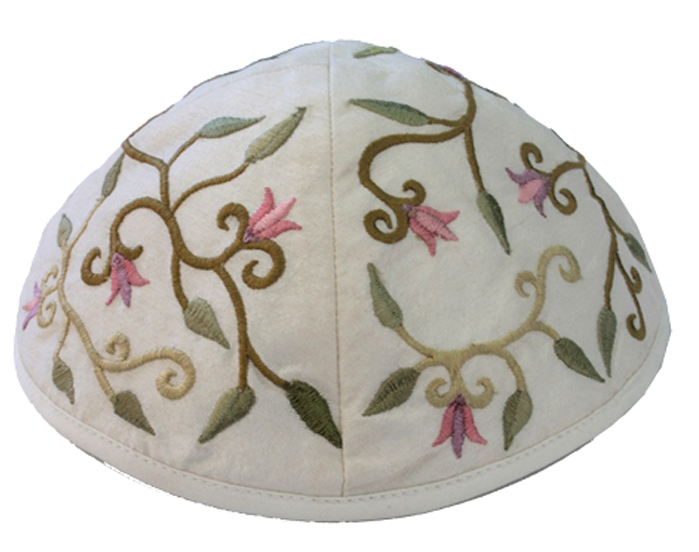 Beautiful floral design is embroidered around this whole Kippah. White Base.